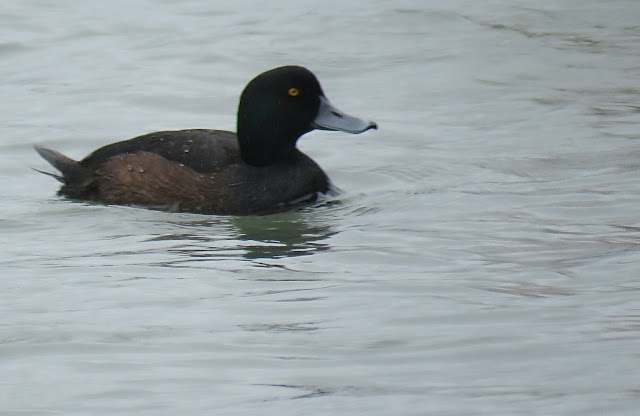 We can ID this duck as a male New Zealand Scaup (also called Black Teal) by its large blue-gray bill, yellowish iris, dark colored head and black/dark brown plumage. 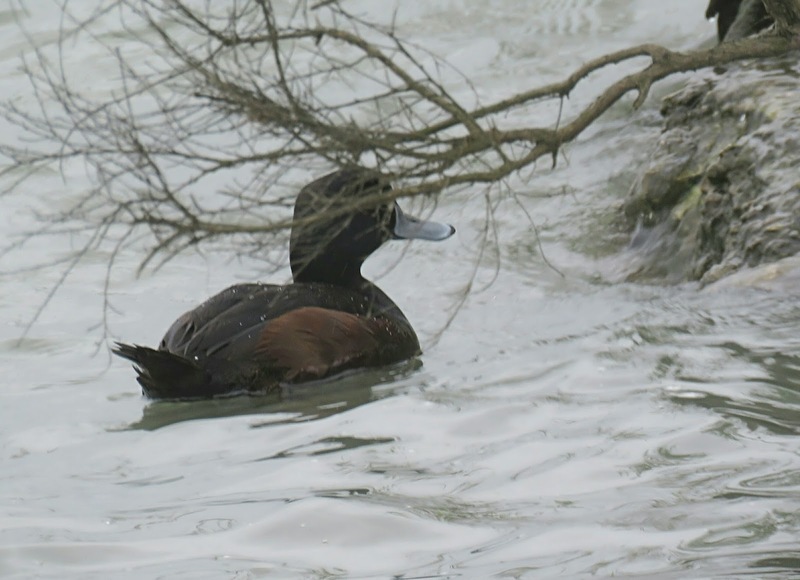 The New Zealand Scaup is endemic to New Zealand. 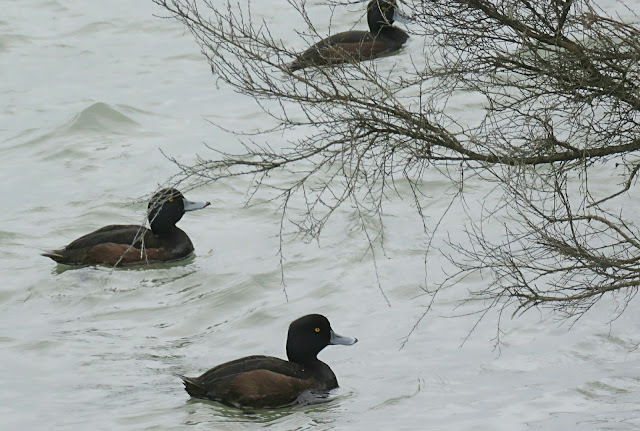 The New Zealand Scaup is a new species to our Photographic Life List, which now stands at 734.